Unlike other major tech firms, Apple says it doesn’t store a ton of personal data about you. But, unbeknownst to many, you can actually double-check the data it does have. The Cupertino tech giant does honor requests for copies of users’ data, but it’s a bit more complicated. Here’s what you need to know. Currently, Apple will let you see your data. But you’ll need personally to personally reach out to the firm’s privacy team to get it. Scroll down and find the section called Access to Personal Information. Click on Privacy Contact Form. Select I have a question about privacy issues. Fill in the information — including your name, email, the subject of your inquiry, and your request to get a copy of your data. At this point, you’ll just need to wait for Apple’s privacy team to respond. Once they get in touch, they’ll double-check your identity and verify it by requesting your Apple ID, a product serial number registered to your name, and any previous Apple Care support case numbers. Don’t expect a quick turnaround, however. According to a recent CNBC report about the process, it took about six days for the outlet’s reporter to get a copy of his data. Put simply, Apple’s stored user data doesn’t seem to be nearly as extensive or as wide-ranging as, say, Facebook’s. A list of every Apple product you own or have owned, including their serial numbers. List of apps purchased from the App Store, as well as in-app purchases made from within applications. List of every song, movie, book or music video purchased through iTunes. List of songs stored in iTunes Match, even those that might not be in Apple Music’s library. A log of every time an app was updated on your various devices. Extensive details about customer support inquiries and logs of repairs made to a user’s devices, including a list of components that were broken and serial numbers for replacement parts. Apple notes that the data log doesn’t include information on an iCloud account — like calendar data, email contents, etc. Similarly, the firm’s privacy team says it does not store Siri questions, customer location or data from the Maps app. They added that there are “extremely short retention periods” for how long the company stores the data that it does collect. If you’ve done similar data requests on Facebook or Google, you probably noticed that Apple’s process is a bit more involved. That’s going to change in the near future. Apple is on the verge of revamping its Apple ID website with new controls to let users easily view a copy of their data. Presumably, it might be similar to the way Facebook’s or Google’s systems work now. In addition to being more readily accessible, that data might also feature contents that aren’t currently included in data requests (like the aforementioned calendar contents). 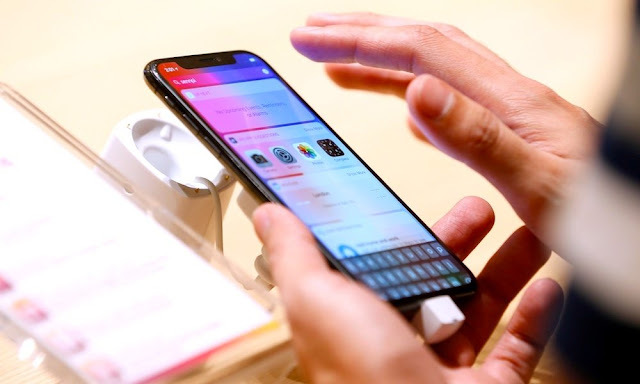 It’s also worth noting that, while Apple is making the change to comply with a new set of European user data regulations, the revamp will eventually roll out to users globally. That’s in line with its historical commitment to user privacy and transparency. Other popular platforms will make similar changes in Europe but have expressed hesitation to apply the regulations to users across the world. The revamped website with additional privacy controls will roll out in Europe next month. There’s no clear timeline for users in other regions, but a global release will reportedly follow the deployment in Europe.